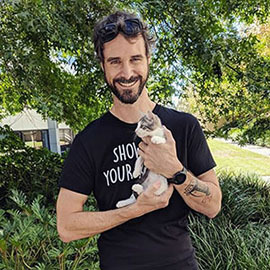 Contact Kerry at Best Friends Felines to express your interest. Penni is a gorgeously fluffy short haired lady. 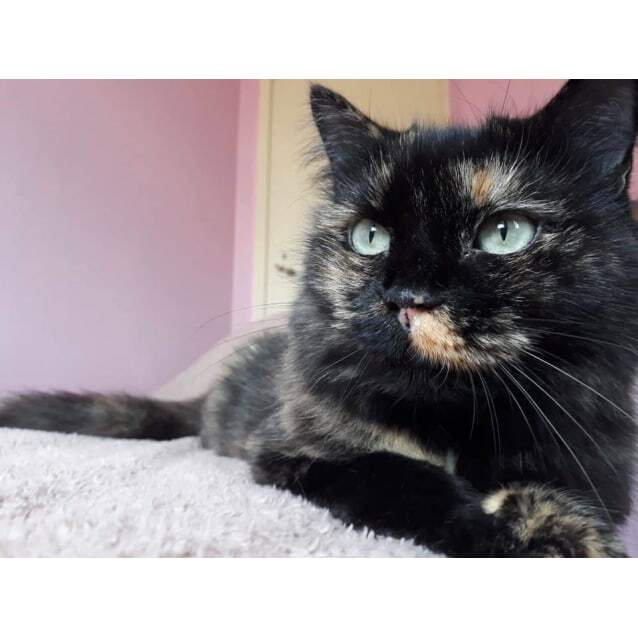 She has a lovely dark tortishell coat and beautiful wide eyes. 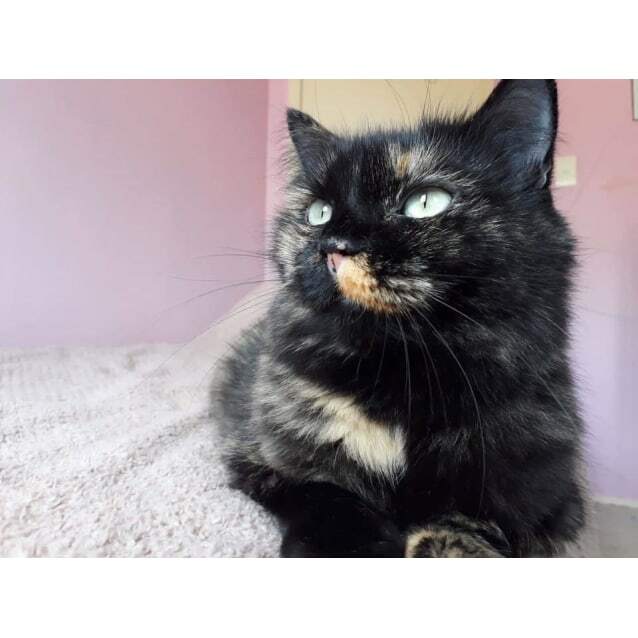 Penni is approximately 5 years old and came into care heavily pregnant, where she gave birth to her 5 gorgeous kittens in a safe loving foster home and was an amazing mama. 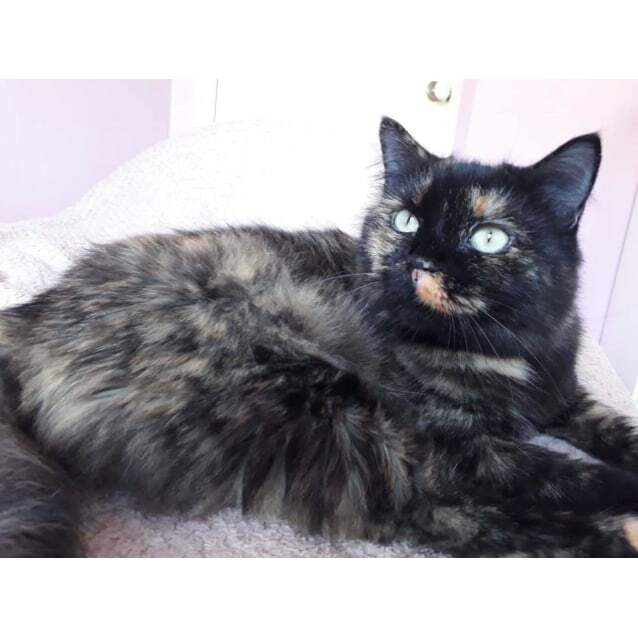 But her babies have grown up and Penni is now looking for a loving home to call her own. 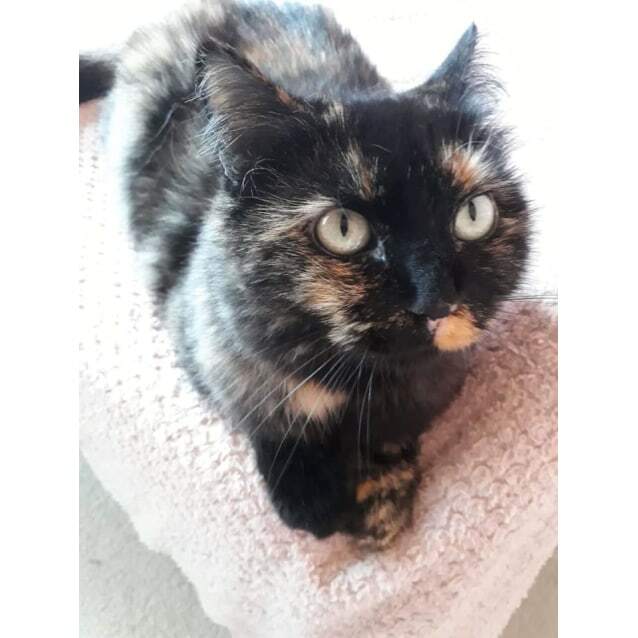 Penni is a very affectionate lady and loves snuggles and pats, particularly tail rubs and will always greet you with her funny little happy sounds asking for a tail scratch. Miss Penni must be allowed access to a bed, as she LOVES laying and sleeping against you at night. She will burrow her way into your side/against you and purr her heart out! As a grown-up lady, Penni is more sedate than the younger rabble in her foster home, but still enjoys toys and the occasional play. Penni is quite confident, especially once she’s settled in. She gets along okay with some cats after a good introduction, still doesn’t get along well with some of the cats in her foster home. Penni is much happier when she’s not crowded with other kitties and can have more of your attention for herself. 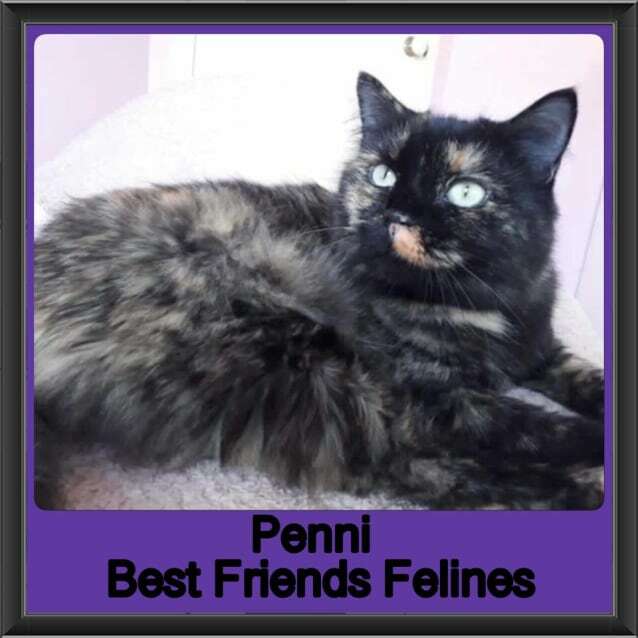 Penni’s ideal home would only have one or two other friendly cats or dogs, or no other cats so that she can shine and have you all to herself! 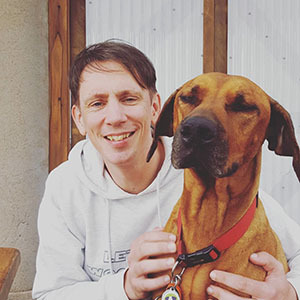 In her current foster home Penni is untested with dogs or children, but in her previous foster home she was said to be good with children and fine with dogs prior to becoming protective of her babies. Penni deserves a loving forever home with a great family, because she has so much love to give!